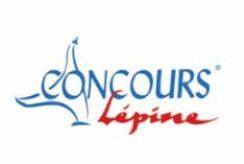 The silver medal - CONCOURS LÉPINE 2015 » COMTES FHT a.s.
At the CONCOURS LÉPINE 2015 Innovation Fair, COMTES FHT a.s. was awarded the silver medal for its fluidized-bed thermochemical treatment technology. The fair took place in Paris between 29 April and 10 May 2015. The technology has been developed in collaboration with the Institute of Precision Mechanics in Warsaw and the PILSEN TOOLS company in their joint project carried out under the EUREKA programme. At COMTES FHT a.s., the researchers who contributed to the development were Pavel Šuchmann, Jana Nižňanská and Michal Duchek.